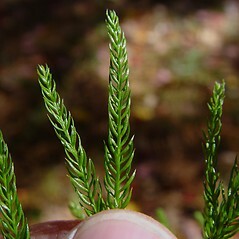 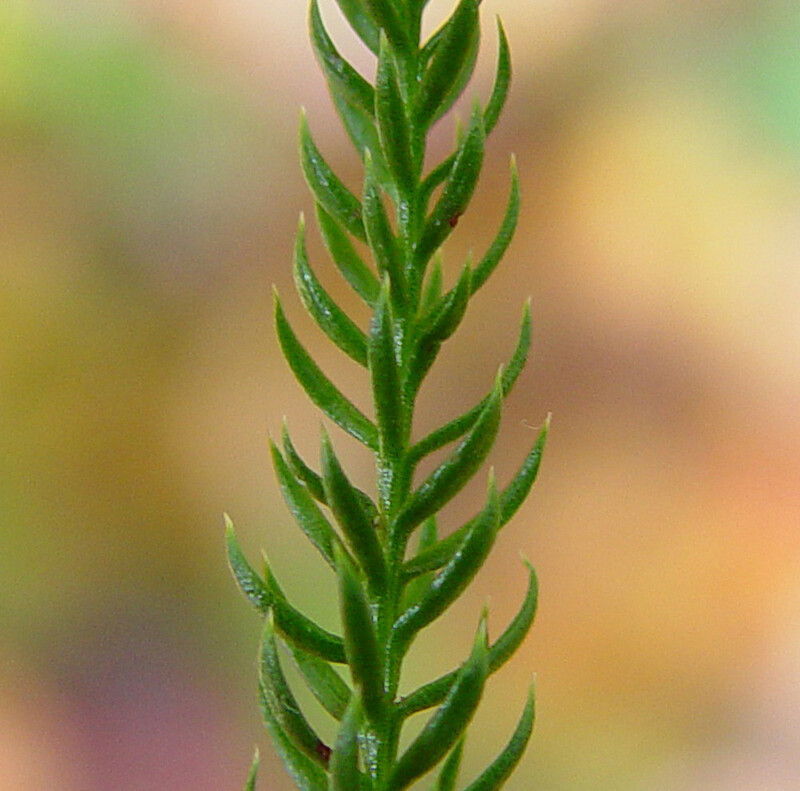 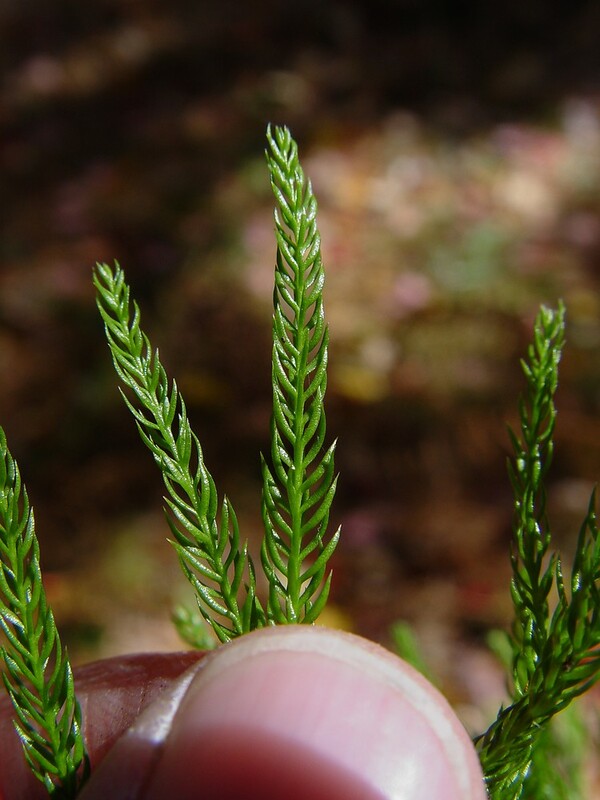 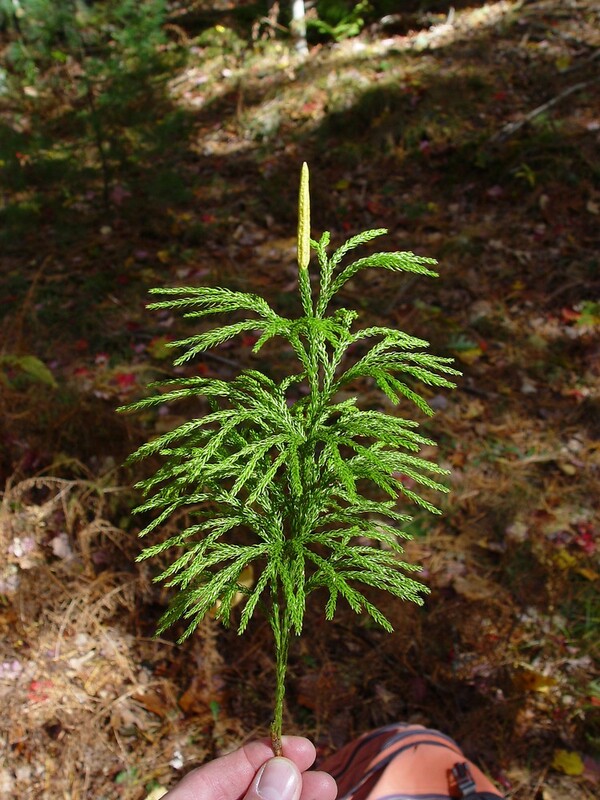 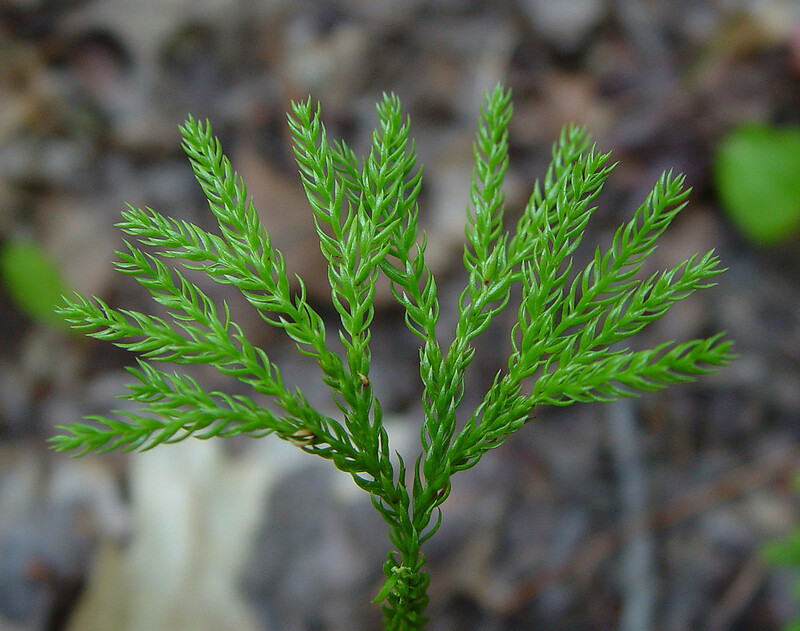 Hickey's tree clubmoss has leaves that are all the same size and do not twist. It is more often found at drier and sandier sites than the other tree-clubmosses (Dendrolycopodium). 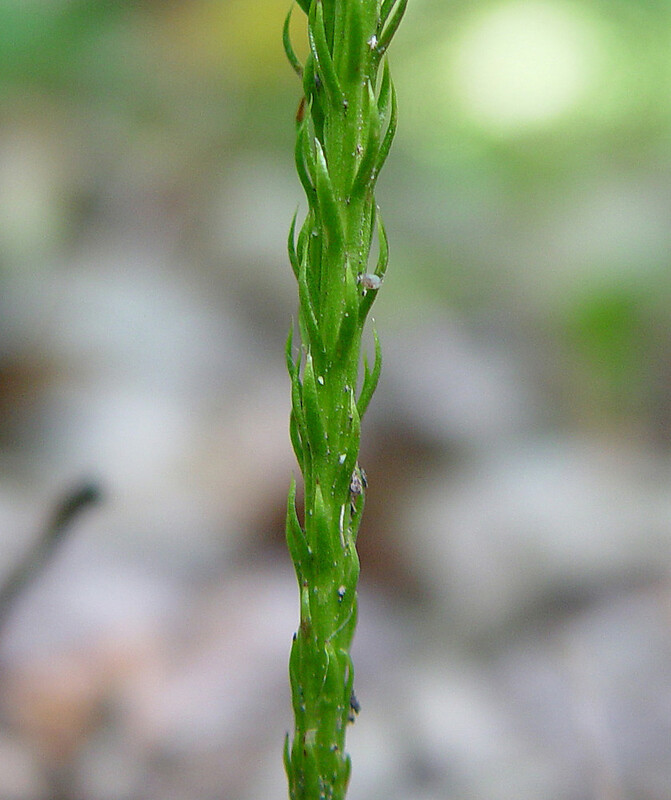 leaves of main axis widely ascending to spreading (vs. D. hickeyi, with leaves of main axis ascending to appressed). 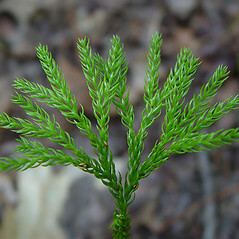 leaves on lower side of branches reduced compared with those on the upper side, the branches therefore elliptic to semicircular in cross-section (vs. D. hickeyi, with leaves on lower side of branches similar to those on the upper side, the branches therefore round in cross-section). 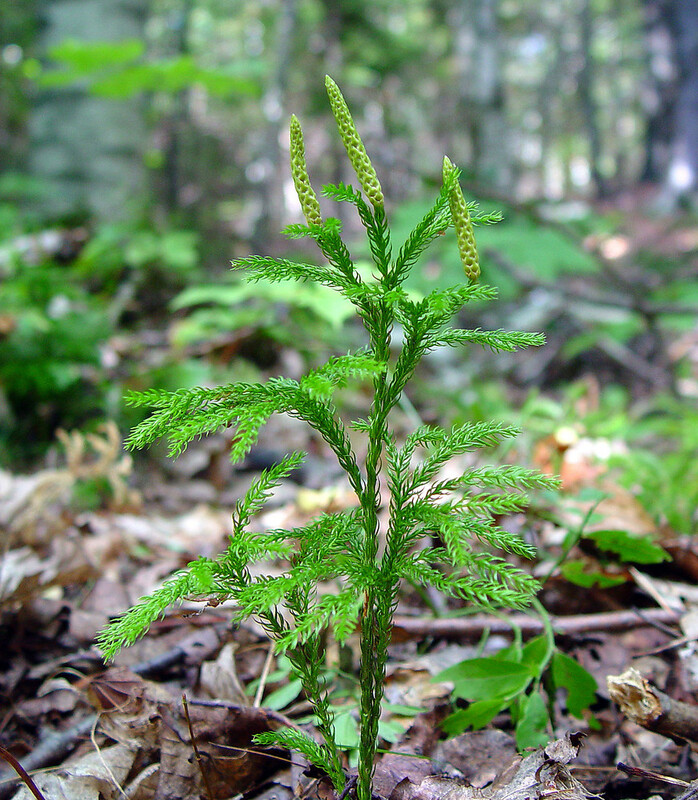 Hickey’s tree-clubmoss. 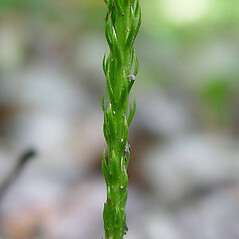 Lycopodium hickeyi W.H. 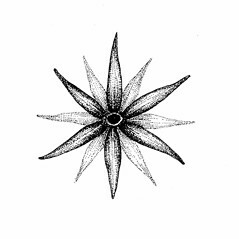 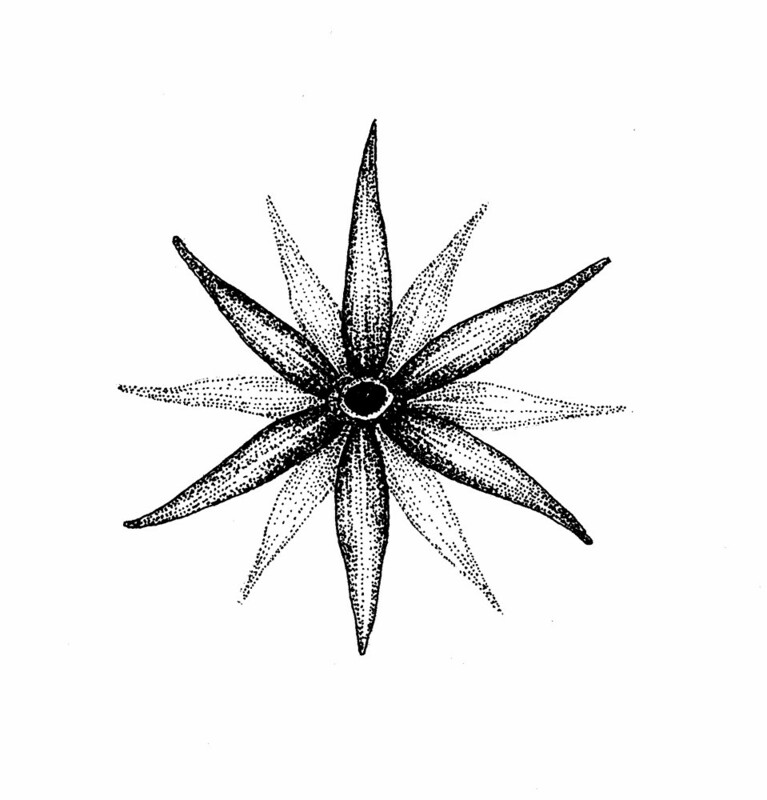 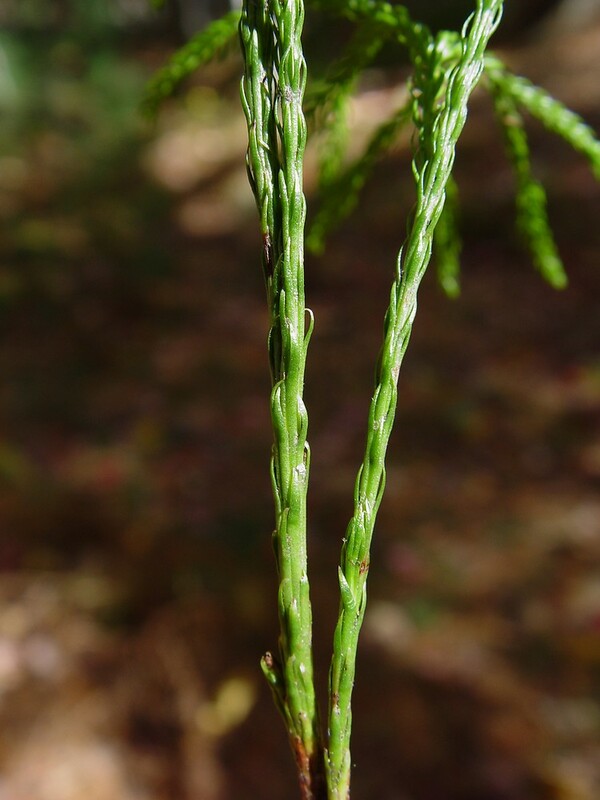 Wagner, Beitel, & Moran; L. obscurum L. var. 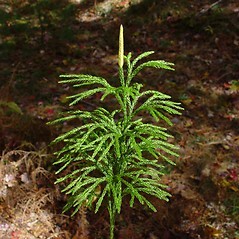 isophyllum Hickey • CT, MA, ME, NH, RI, VT; throughout most of New England. 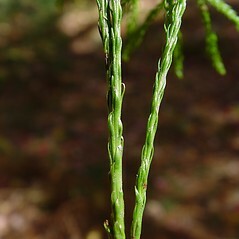 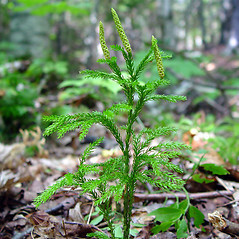 Interior and edges of hardwood and mixed conifer-hardwood forests and woodlands, frequently in more well-drained soils than Dendrolycopodium obscurum.